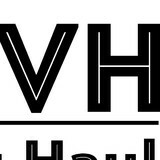 Vet Haulers is a veteran owned and operated small business that provides debris/junk hauling and demolition services to residential and commercial clients from Austin to San Antonio. We strive to employ other veterans and active duty military where possible. We are a family run demolition and waste removal company operating in the San Antonio metro area. We undertake all types and sizes of demolition and waste removal. We understand the importance of operating in a clean and tidy workplace and to this end we provide uniformed and professional crews that complete all the work to the highest standard. 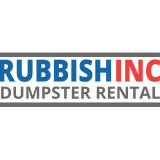 RUBBISH INC™ is the premier roll off dumpster rental and rubbish removal company in central Texas. We offer both 10-yard and 20-yard portable debris and trash dumpsters that are the perfect solution for your do it yourself home or commercial construction, renovation or restoration. Whether it’s a remodeling job or major commercial construction project we can help get your debris and trash hauled off. Our rubbish containers and dumpsters can be delivered directly to your door or job site and placed conveniently to make your job that much easier. Is your job a little more than you can handle? Call us today and schedule a two man crew to come out and we can handle all of your trash haul off needs. We guide people to buy the right garbage disposal according to their need by providing reviews and offers that are available at our site. 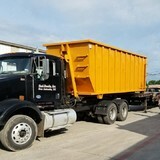 Rubbish Works offers On-demand Labor, Hauling, Waste Disposal, Junk Removal, Rubbish Pickup and Recycling Solutions for both residential and commercial customers in the Greater San Antonio area. We are here to serve you and answer any questions you may have concerning Pest Control and Exterminating here in San Antonio Texas. There are full-service junk removal companies in San Antonio, TX that help with everything from clutter and hoarding cleanups to appliance recycling to donating unwanted items. Keep in mind that you may need professional help removing certain items from your home, particularly if they’re toxic or unstable. Here are some related professionals and vendors to complement the work of junk removal: Tree Services, Environmental Services & Restoration, General Contractors, Home Builders, Landscape Contractors. Find rubbish removal professionals on Houzz. 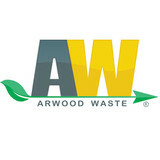 Narrow your search by city or zip code for a list of San Antonio, TX rubbish removal services. Get contact information so you can ask about rates, and read customer reviews to find the best rubbish and trash removal service for your home improvement project.